YES! 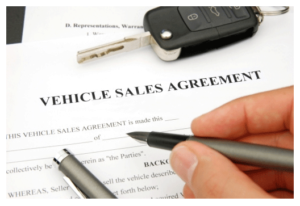 AutoTrek will provide you with an offer to purchase your vehicle, even if you do not buy one from us. By utilizing our competitive bid system, we ensure you a fair value. Simply submit this form and we will get back to you promptly with your purchase offer. Our consignment program is perfect for those who are not under a time sensitive sale and are looking to maximize the value you get from your vehicle. AutoTrek will add your vehicle to our inventory as if it were one of our own for a mutually agreed upon price. This would include retail advertising such as cars.com, listing on our website, and exposure to over 300k credit union members. Skip the hassle of answering phone calls and meeting strangers, let AutoTrek do the work. If you are interested in our consignment program, simply fill out the form below and your automotive consultant will be in touch to guide you through the process.